Dr. Enrique Carbó-Argibay is an Electron Microscopy Facility Manager in the Department of Advanced Electron Microscopy, Imaging and Spectroscopy at INL. He is in charge of maintaining cutting-edge instrumentation, particularly advanced electron microscopes, in top shape, to directly enable groundbreaking science and engineering. He also provides hands-on training and technical support to internal and external users from academia, industry and non-profit organizations. This role is part of the “Open Access” policy implemented at INL that allows access by external users to the cutting-edge facilities at INL. 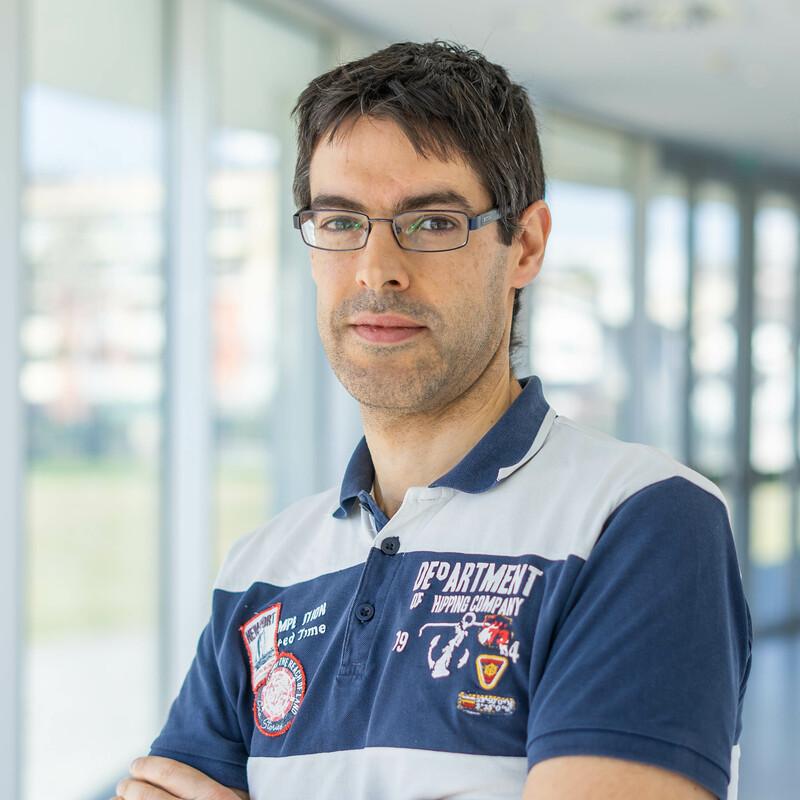 Enrique received his Ph.D. in Physical Chemistry from the University of Vigo in 2011, working in the synthesis, structural characterization and optical properties of plasmonic nanoparticles. After a brief period as Technology Transfer Officer, he joined INL in 2003 as postdoctoral researcher to work on the synthesis and electron microscopy characterization of nanomaterials. Subsequently, he focused his research on understanding the structure and chemical composition of 2D materials, by using aberration-corrected TEM/STEM coupled with EELS and EDS techniques. In 2017, he became a Facility Manager in electron microscopy. Carbó-Argibay, E.; Rodríguez-González, B.; Pacifico, J.; Pastoriza-Santos, I.; Pérez-Juste, J.; Liz-Marzán, L.M. Alvarez-Puebla, R.A.; Agarwal, A.; Manna, P.; Khanal, B.P. ; Aldeanueva-Potel, P.; Carbó-Argibay, E.; Pazos-Pérez, N.; Vigderman, L.; Zubarev, E.R. ; Kotov, N.A. ; Liz-Marzán, L.M. Gold Nanorods 3D-Supercrystals as SERS substrates for the Rapid Detection of Scrambled Prions. Goris, B.; Bals, S.; Van den Broek, W.; Carbó-Argibay, E.; Gómez-Graña, S.; Liz-Marzán, L.M. Carbó-Argibay, E.; Mourdikoudis, S.; Pastoriza-Santos, I.; Pérez-Juste, J.